A few weeks ago, our Chief Technology Officer Tim Conroy and Junior Software Developer Engineer Andrew Murray took a trip to Boston for the 2018 OutSystems NextStep Conference. Now that they’re back, we decided to ask Andrew a few questions about what he thought of the whole experience. Q: How was the conference? Did you have a good time? A: Overall the conference was great! The people were friendly, inviting, and seemed to really care about the OutSystems product and community. Tim and I had a great time; it was in a great location (Boston Waterfront), and the atmosphere was rad. Q: What kind of information was covered? AThe conference was put on by OutSystems, which is an RAD (Rapid App Development) platform that we use here at MicroMain. During the conference they released a new version of their software, OutSystems 11, which has many improvements in functionality and performance overall, as well as some very cool new productivity tools such as an AI that can guess your next line of code. They also released the platform on Mac (which is awesome- it was PC-exclusive beforehand), although it was just a technical preview at the time. The attendance run the gamut of OutSystems staff, users/clients, and potential adopters that wanted to know more. There were a lot of new people to the platform asking for clarification on things like containerization and architecture, some experienced OutSystems developers sharing experiences about performance and pitfalls, as well as asking staff asking about better ways of implementation and general best practices- which turned out great because I could just sit there and soak it all up like a sponge. Q: What was your biggest learning point from the conference? A:There were a lot of exciting lectures that, in general, sparked ideas about code, apps, and better business practices; many of the companies that spoke in the various lectures we listened to talked about hackathons, code reviews, and even giving developers free time every month to explore new avenues. But the most important learning point for me was a lecture on Caching and Data Sync. A gentleman by the name of Rui Coutinho talked about his experience as an architect for mobile apps and explained the importance of using caches to separate data into stages for consumption by different applications. He also talked in-depth about denormalization (buzzword alert! Normalization: data that is organized and broken out into different structures in a relational database to better improve integrity and reduce redundancy), whereby taking only the bare-bones minimum of attributes that are needed for the app itself without any back-end processes can drastically improve performance. Taking this a step further, he walked through only syncing this data using exposed REST APIs when absolutely necessary, like during the login process or viewing a certain screen. The data in the app will stay in a cache inside the local storage of the device or phone until one of these syncs occur. The thought behind this is to use as little space as possible and do as much processing on the server as feasible because a phone or tablet will likely be significantly less powerful than a computer living in some kind of server farm that’s optimized for these kinds of processes. These things were definitely on our radar with mobile development but it was wonderful to hear someone share their experience and tips, and to lay out some updated best practices. Most of this stuff is common sense but implementation is easier said than done. Q: Was there anything that really jumped out and surprised you? A: The integrations with AWS/Azure AI and machine learning was very exciting and surprising. One guy (Andy Pemberton) coded (during his 30 minute lecture) a mobile app that could take a picture of you, and then it would tell you your age, gender, and mood. Which is pretty phenomenal and has incredible potential. It got all of us here thinking…what could we do with this? Q: Alright, last question- were there any challenging parts of the conference in terms of material? A:Nothing was particularly challenging about the material. They didn’t give tests or anything. I think there were some people in the audience that had some trouble with some of the content, or were maybe skeptical of low code. Although there’s plenty of ways in OutSystems to customize things and build your own modules through custom code. 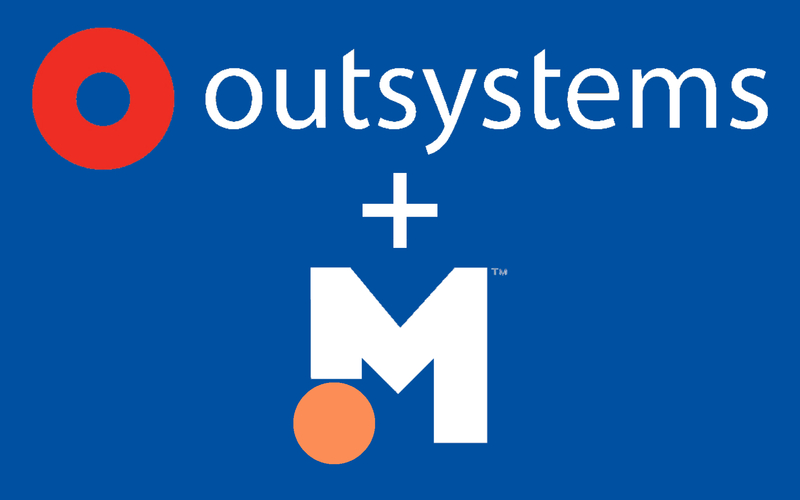 We, here at MicroMain, are really excited with the potential of this new OutSystems software. There are so many amazing new ways to build on our already stellar work order tracking, advanced reporting and analytics, worker management- and that’s just scratching the surface- with some exciting ideas yet to come. If you want to be part of the next wave of CMMS, contact us today for a free demo!